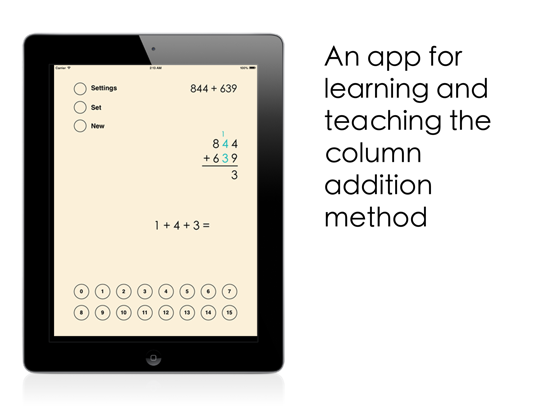 This math app can be used to teach and study the column addition method. 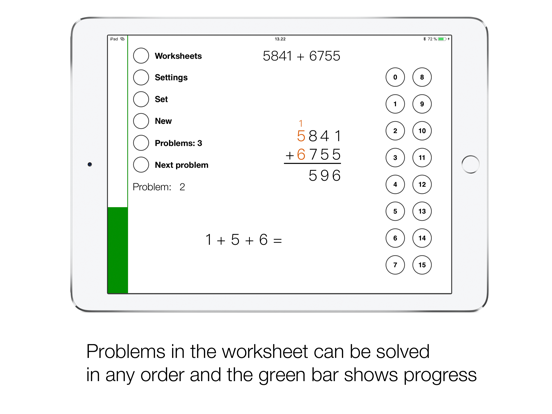 The app is easy to use and it has an intuitive interactive interface with customizable colors and other settings. 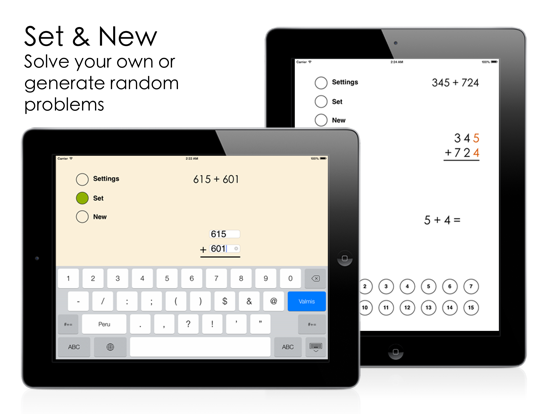 The user can solve random or custom addition problems with small and large numbers. 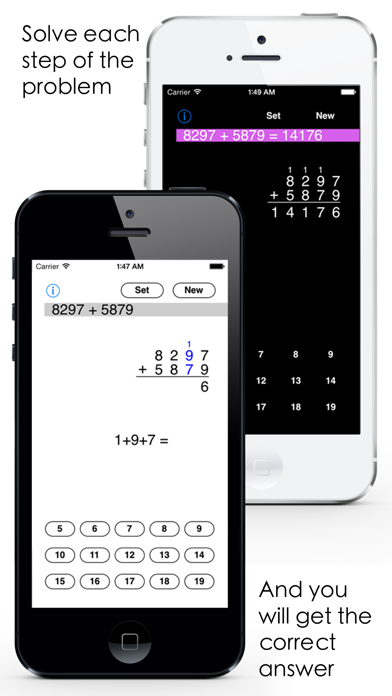 The number of digits in the numbers can be set. The column addition method is also known as columnar addition, long addition or longhand addition. 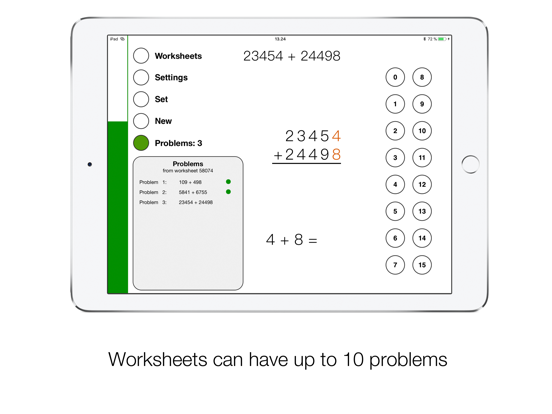 "iDevBooks educational math apps make math enjoyable and entertaining. 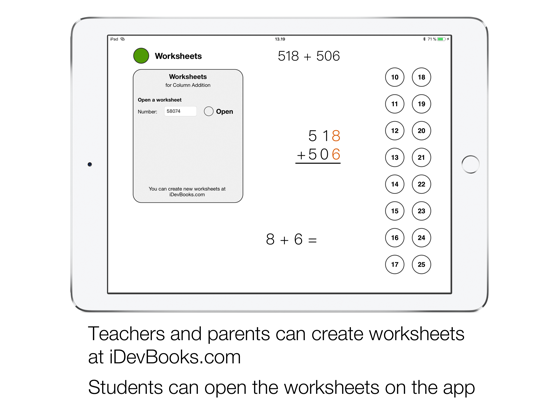 One of my sons was struggling with math and I must say the use of iDevBooks math apps has really helped him. 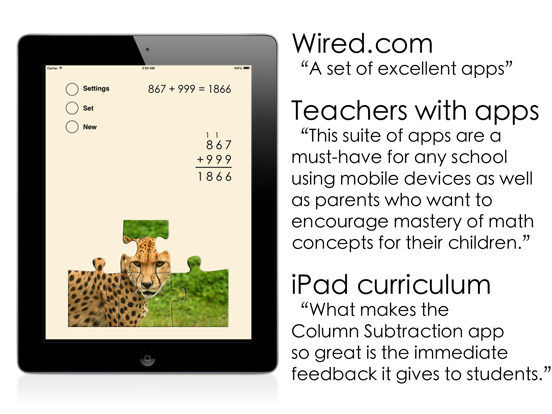 He now enjoys his math.."
The interface of Column Addition app is similar to Column Subtraction. 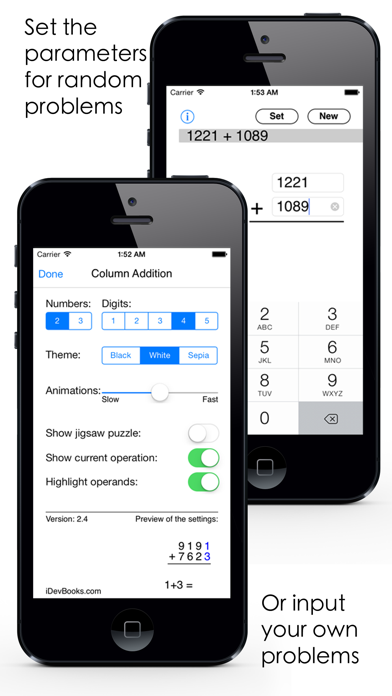 The numbers are aligned automatically and the user can concentrate on solving the operations for each column. Carrying is handled automatically and it is visualized using a nice animation. After the user solves the operation for each column the correct answer will fly to the right place. The unit of the answer will fly under the column and the ten is carried over the next column. If the user presses the wrong button the answer will appear above the keyboard but it will not move. The puzzles are pictures of cute animals. 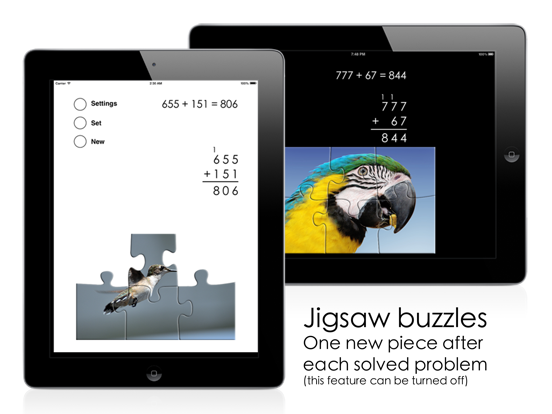 Every time the user solves one addition problem, he will see one more piece of a six-piece picture puzzle. 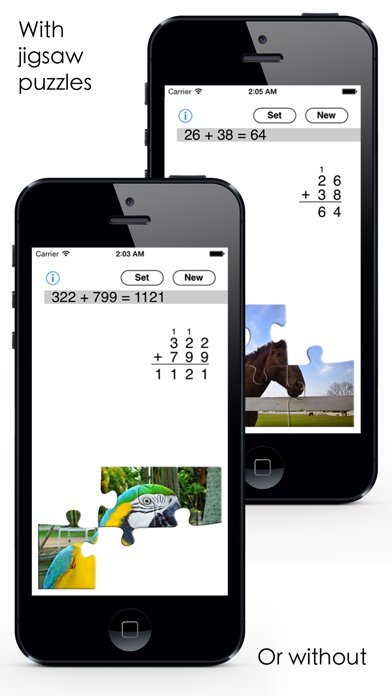 The picture puzzle feature can be turned off and on at any time. 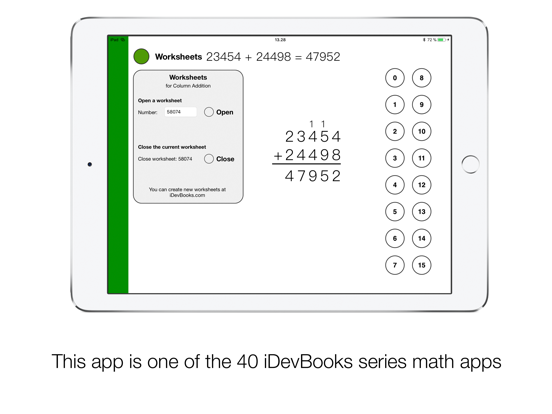 Some of the other 24 iDevBooks math apps are Column Subtraction, Long Multiplication, Long Division, Lattice Multiplication, Visual Multiplication Table, Fraction Math, Partial Differences Subtraction, Partial Quotients Division, Partial Sums Addition, Decimal Rounding, etc.